a. Locate the MX-7777/MX-7778 in the vicinity of the driver's compartment. receptacle and the rear of the voltage suppressor. on the top of the suppressor. 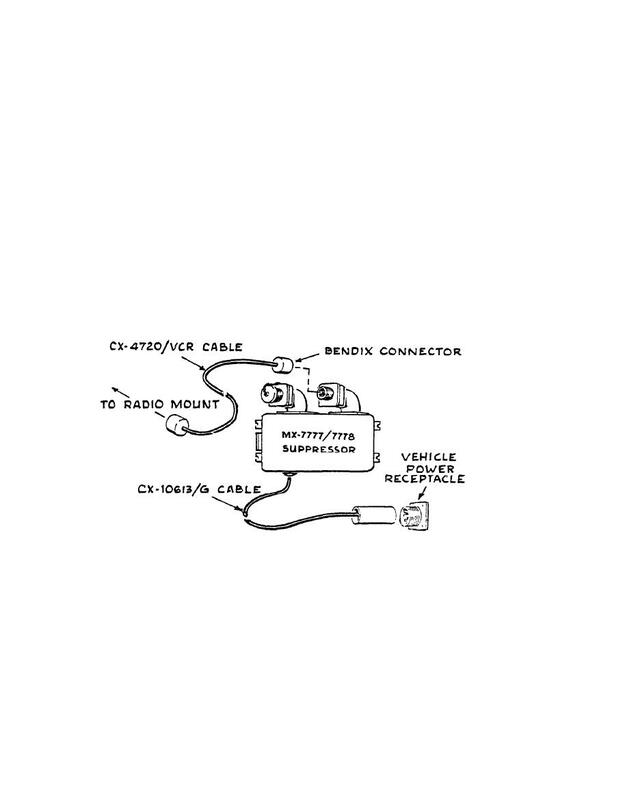 Plug this Bendix connector directly into vehicle power receptacle. e. The suppressor is now out of the circuit. repair tank using standard maintenance procedures.